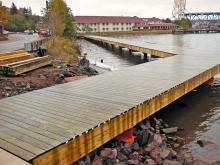 The Navy Sreet Boardwalk, started last year, is completed. 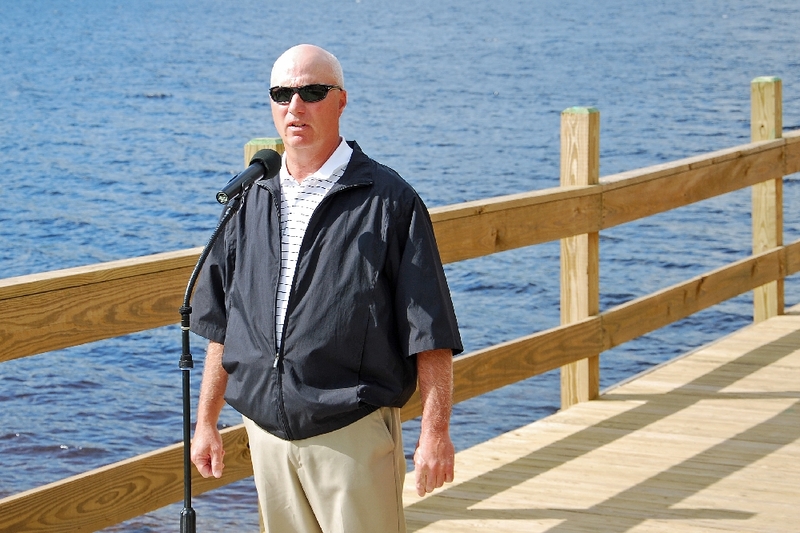 A Dedication Ceremony was held recently to celebrate and officially open, the new facility. 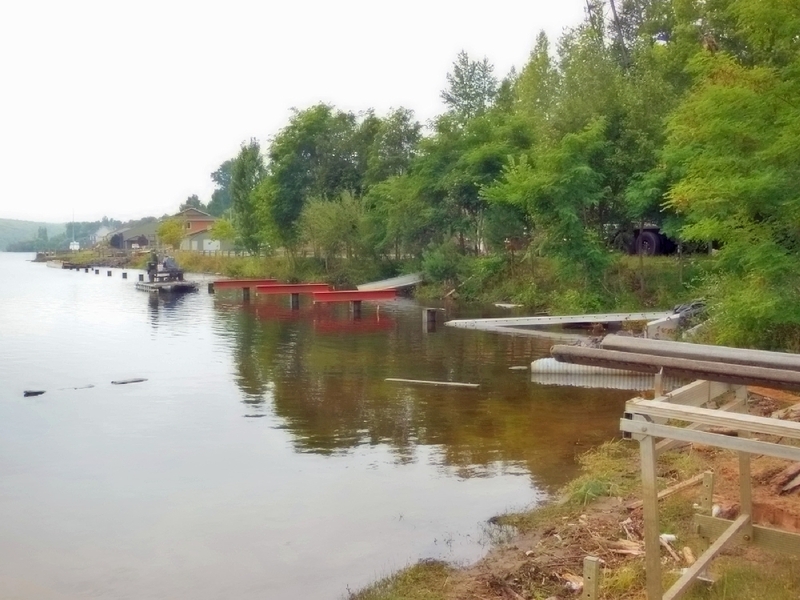 This newest shoreline walkway will extend from Porvoo Park to the Ramada Inn Beach, and is scheduled to be completed in October, and will greatly add to the Waterfront enjoyment experience. 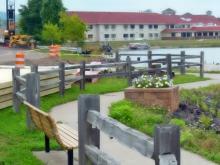 The new Boardwalk on a beautiful June morning. 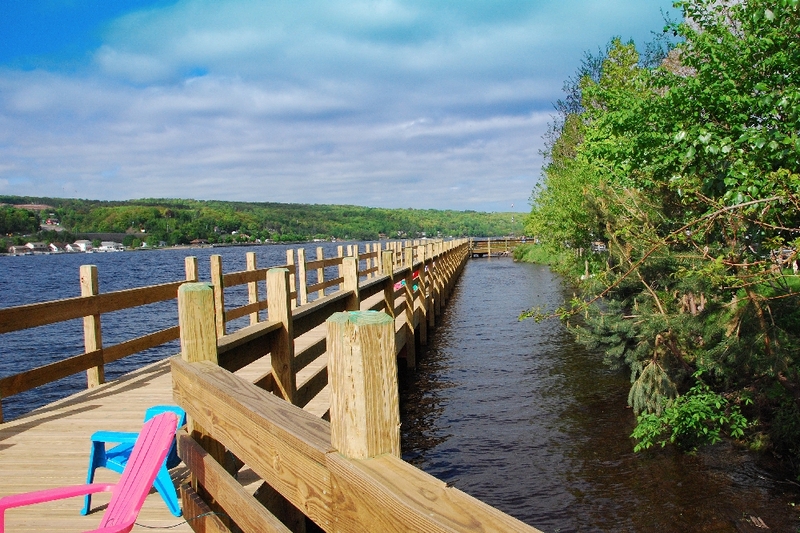 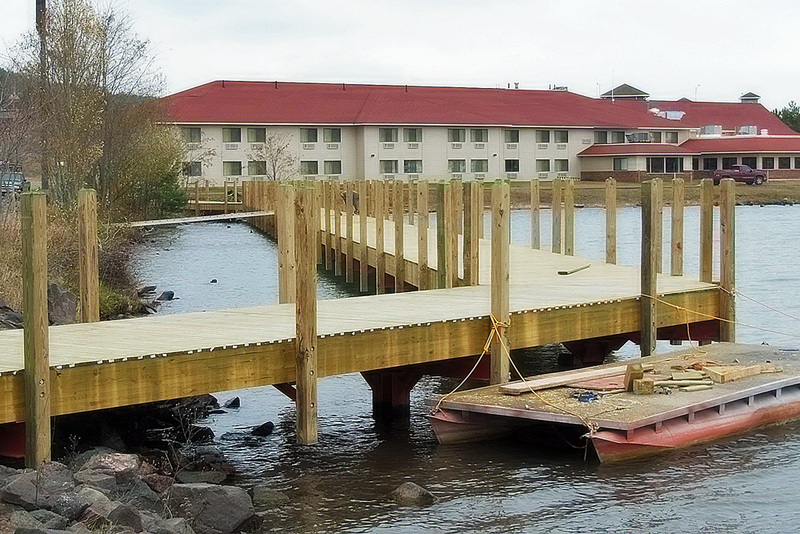 The boardwalk is 362 feet long, and 10 feet wide, is handicap accessible for walking, fishing, sightseeing, and boat mooring. 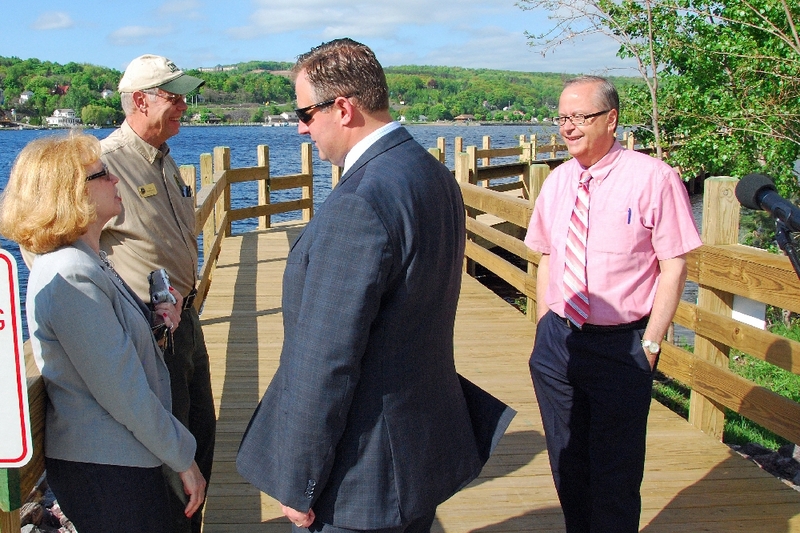 Prior to the Dedication, Hancock Ciy Manager Glenn Anderson(R), and State Representative Scott Dianda (C), along with Bonnie Holland and the DNR’s Lee Verberkmos, enjoy a moment prior to the Ceremony. Glenn Anderson acted as the M/C for the Ceremony. 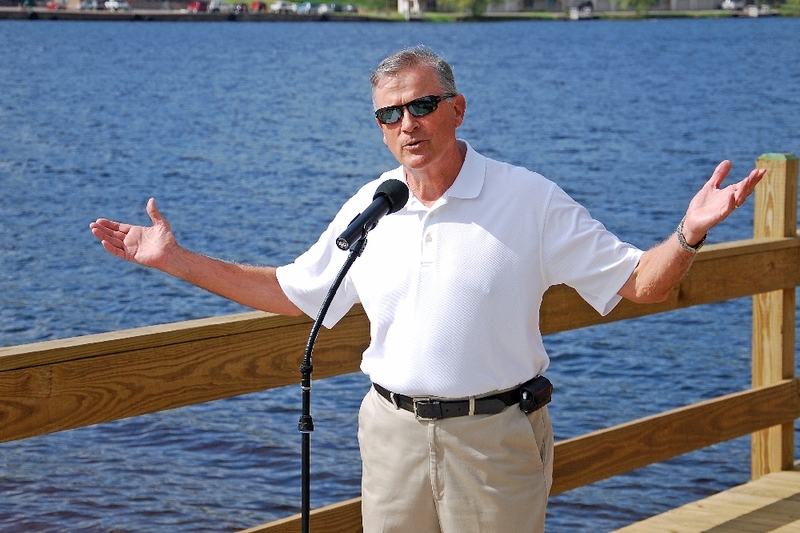 State Representative Scott Dianda offered some comments on the State’s involvement in the project. 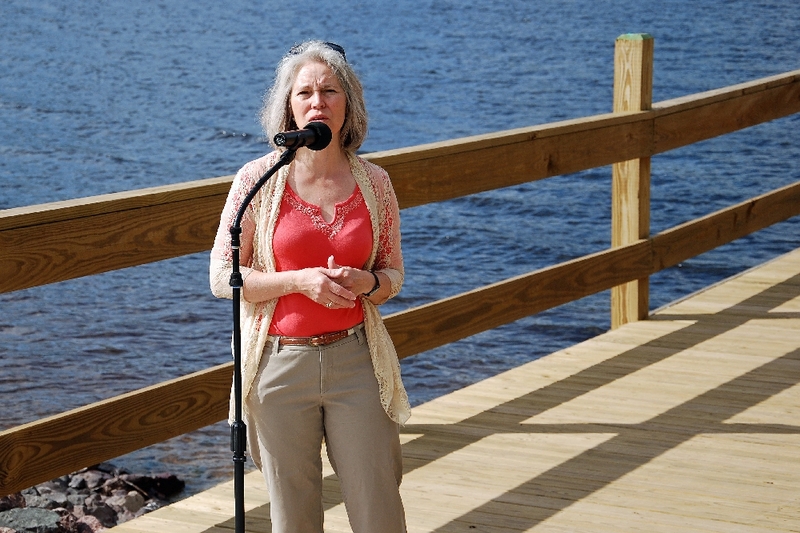 Hancock’s Mayor Lisa McKenzie gave thanks on behalf of the City for all who contributed in making the project a reality. 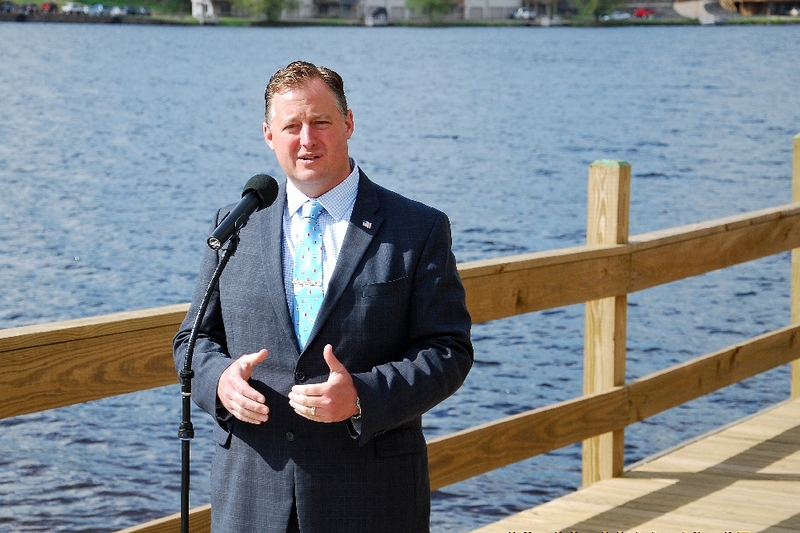 Pete Wickley, of the City Downtown Development Authority, which funded the $80,486 matching funds for the project, paid for by funds from the Michigan DNR Michigan Resources Trust Fund. 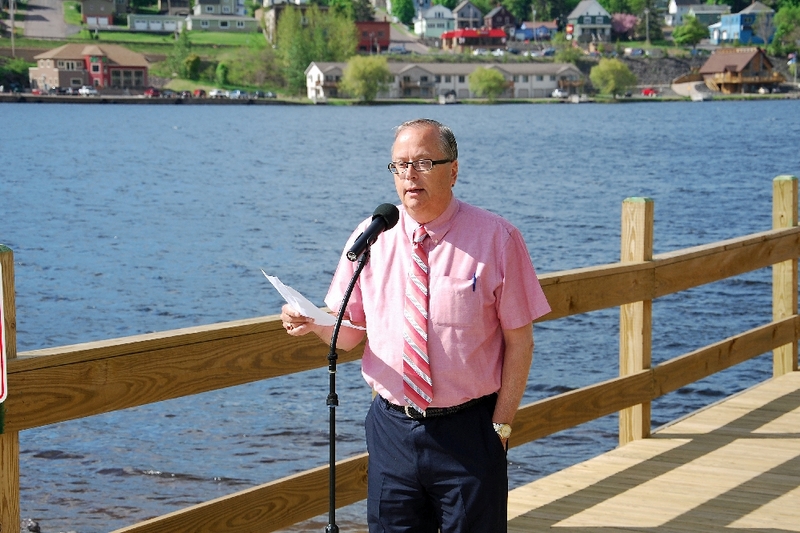 Dennis Hagenbuch, Chairperson for the City’s Recreation Commission gave comments. 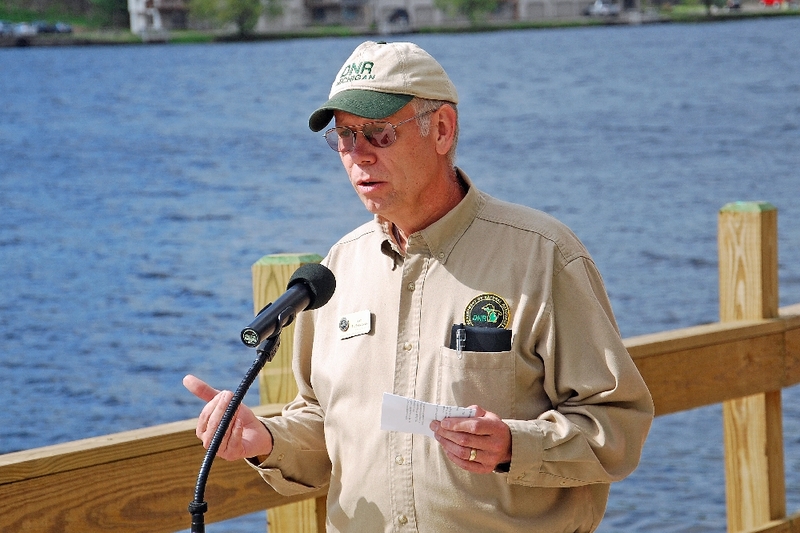 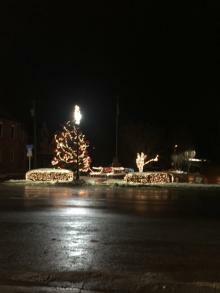 From McLains State Park and Fort Wilkens State Park, DNR official Lee Verberkmos. 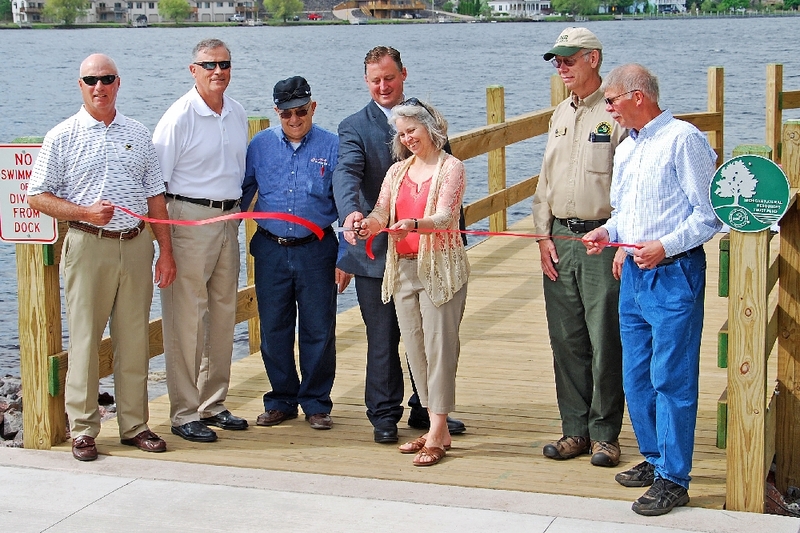 With Mayor Lisa McKenzie wielding the scissors, the commemorative ribbon is cut, officially opening the new Boardwalk for public use. 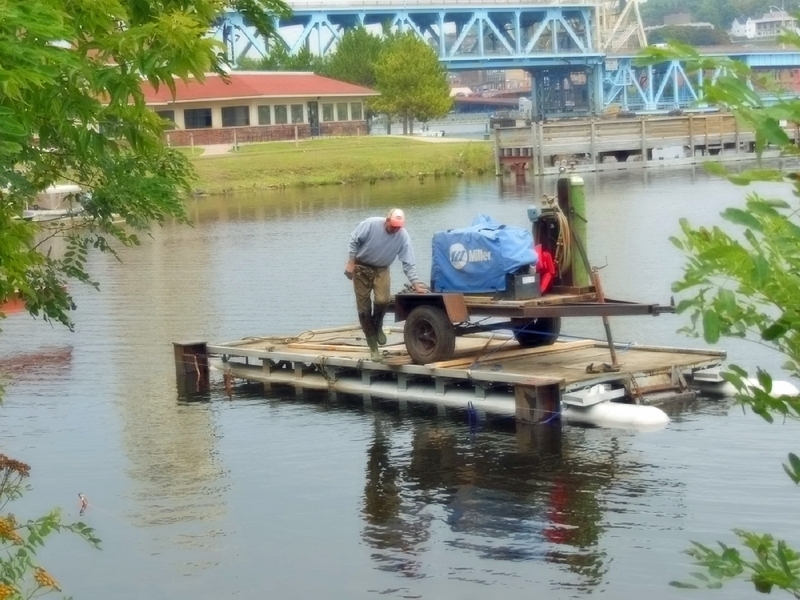 [Following from 2013 coverage]. 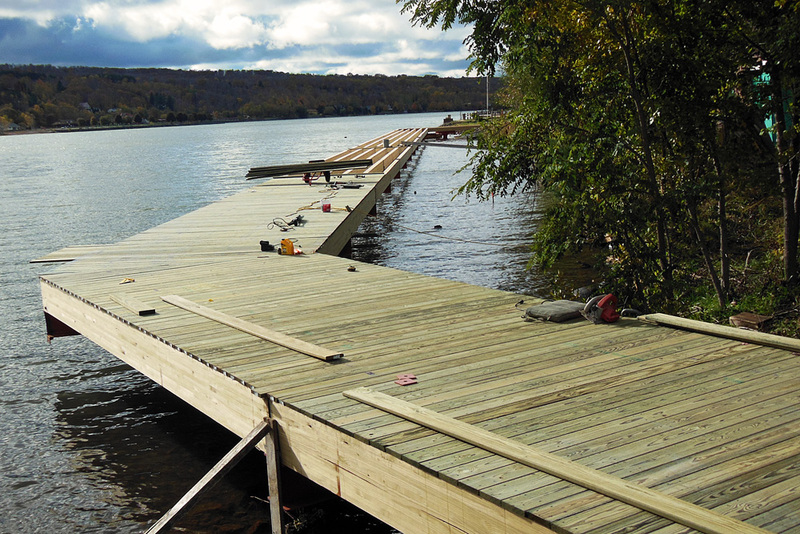 Fall,2013, and the Boardwalk is completed. 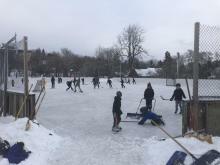 Dedication will be held in the Spring, 2014. 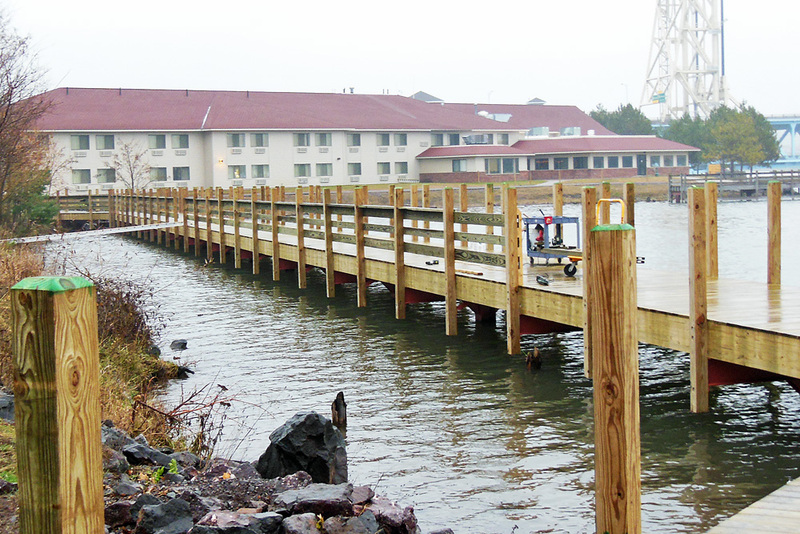 By the end of third week in November, most of the north side hand rails are up, but with freezing drizzle and fog, and snow on the way, the rest of the work may be delayed until spring. 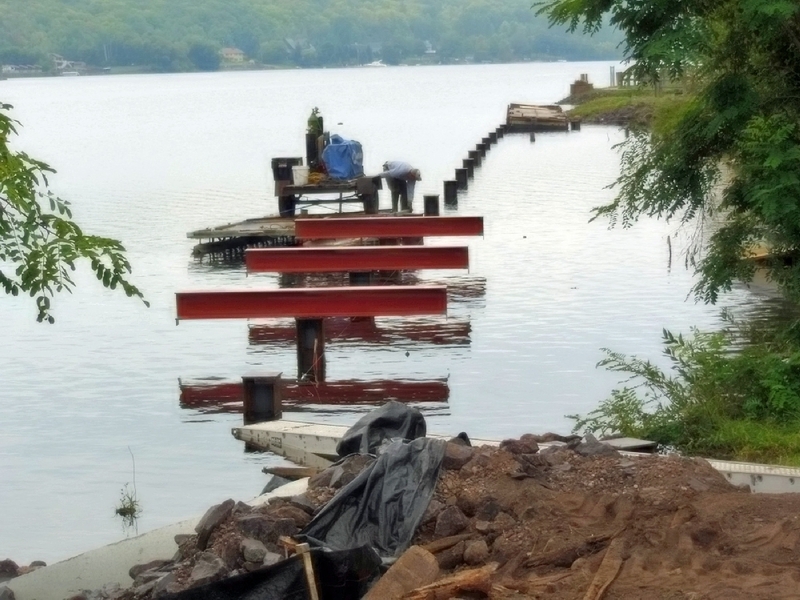 With continued decent weather, the side railing posts have now been installed, and the cross beams are ready for installation. 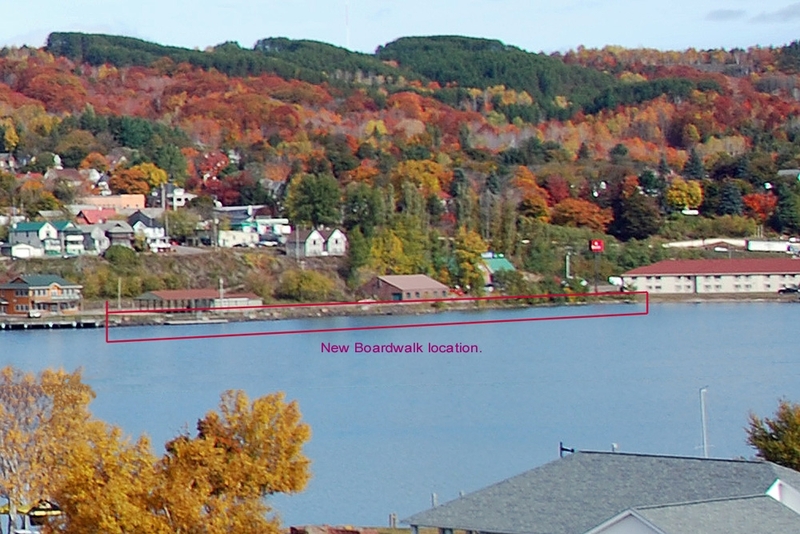 This graphic will show where along the waterfront the new section will be built. 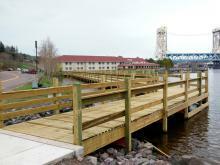 It will extend from existing boardwalk at Provoo Park, eastward to the Ramada Inn beach front. 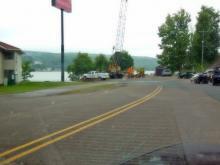 Viewed from Navy Street in front of the Ramada Inn, looking westward, this will be the east end of the new construction. 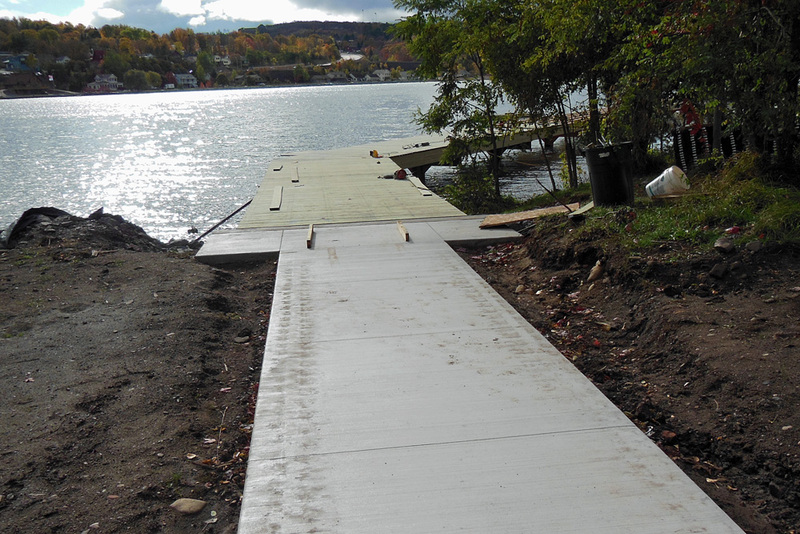 A new access pathway from the Ramada property has been built. 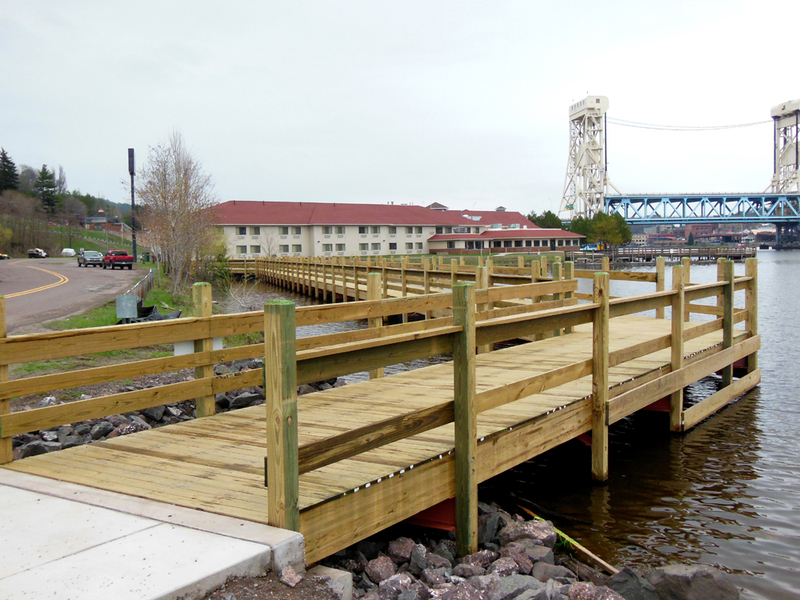 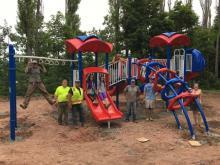 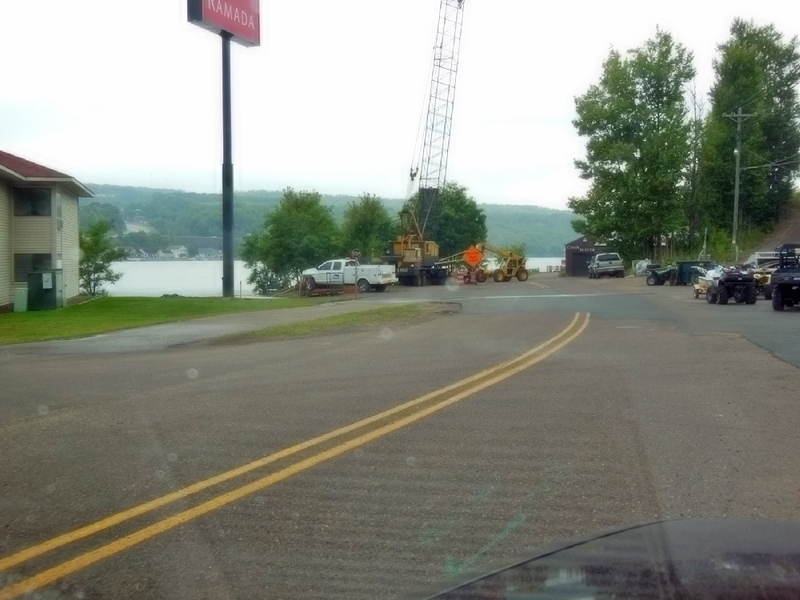 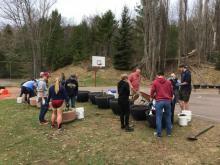 The project is being built by DP Construction, of Chassell, under a DNR Michigan Natural Resources Trust Fund Grant, for $262,500, with a City of Hancock matching for $87,500, makng a total of $350,000. 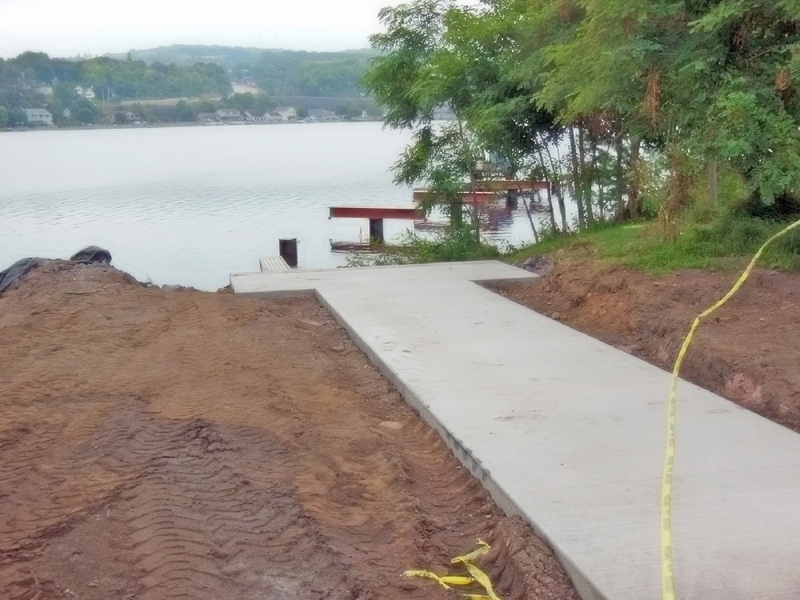 The new section will be 362 feet in length. 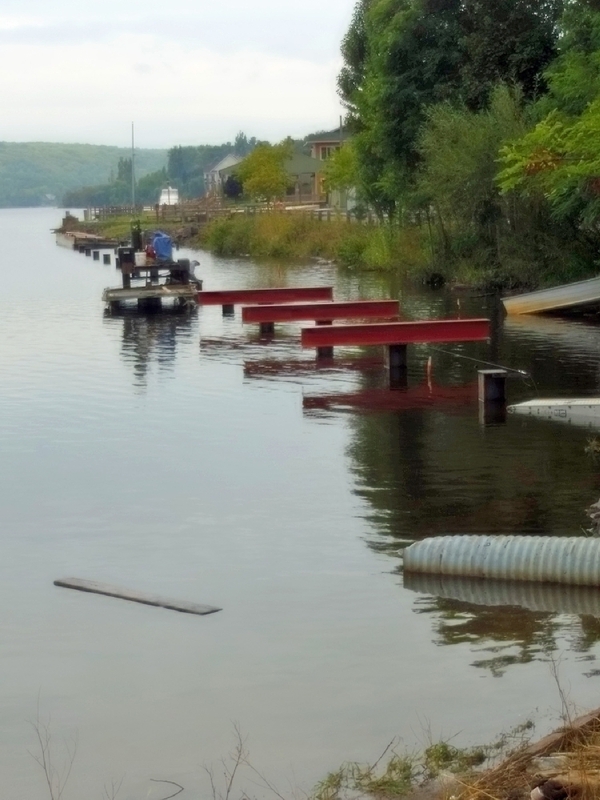 New support pilings have already been driven into the Waterway bottom, with steel support cross girders being mounted on top. 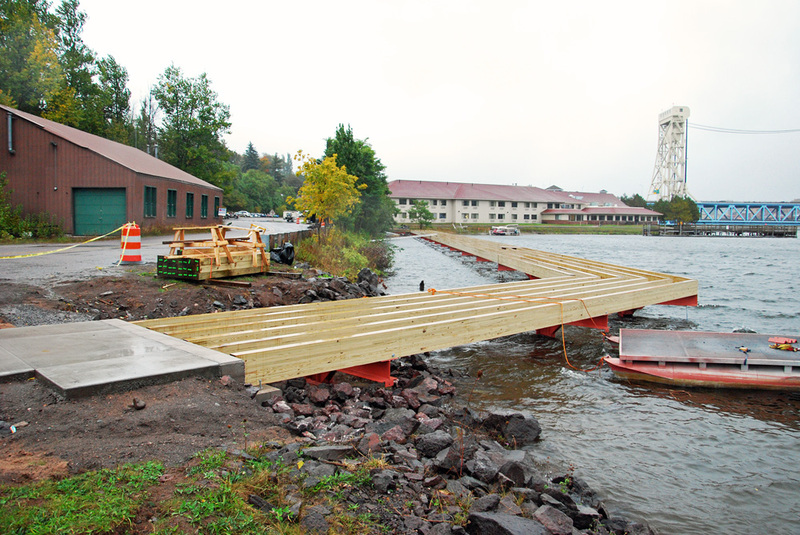 The Walkway should be competed later this Fall. This section will complete Boardwalk work for the East end of the City waterfront. 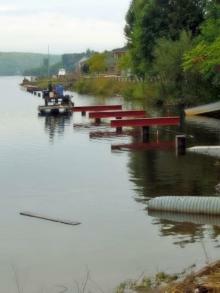 DP Construction workers are setting and mounting the cross girders on the pilings. A view from the west end of the Project, from near the Porvoo Park Pavilion.